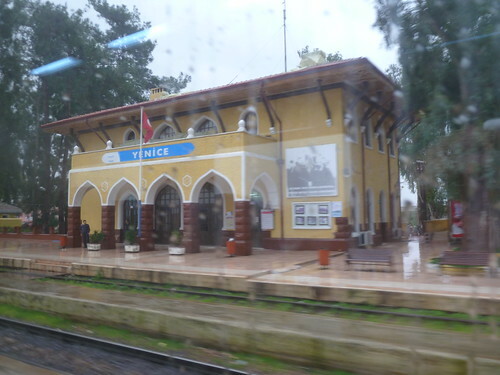 Today’s walk was from Tarsus to Arikli, a village between Tarsus and Adana, just a few kilometers east of Yenice. Yesterday’s walk put me at 51% of the total distance walked. 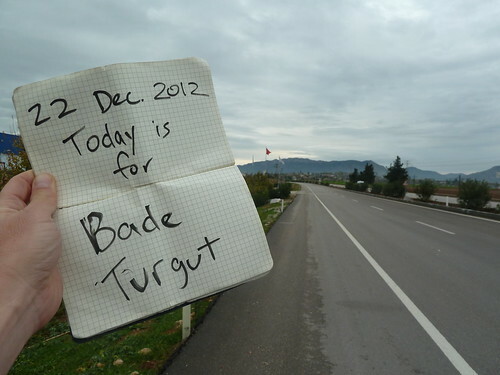 I’ve walked more than halfway across Turkey. Hitting that milestone came one day after Christmas, and a couple days before my birthday on Friday. A great way to mark the holiday week! 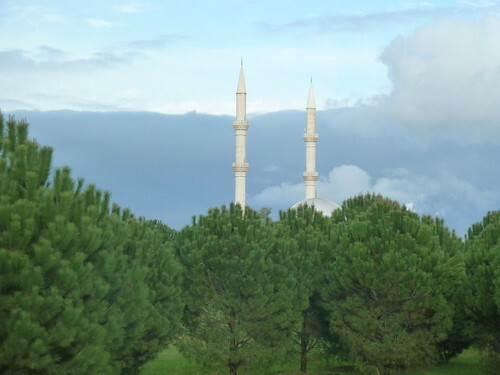 Melih accompanied me on yesterday’s walk. Nice job Melih, it was an honor to clear the halfway mark with you. 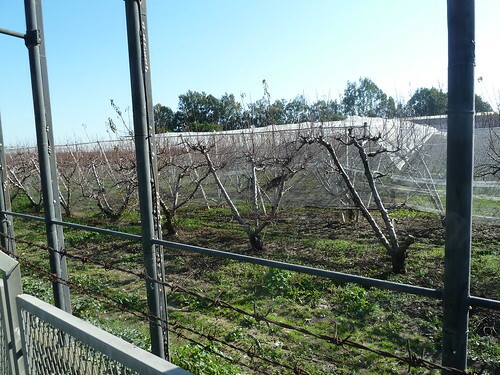 Dad, this was at the Unifrutti of Turkey orchard we walked past today. When I am in Reedley, I feel so unknowledgeable, surrounded by all those farmers who live their entire lives for stuff like this. 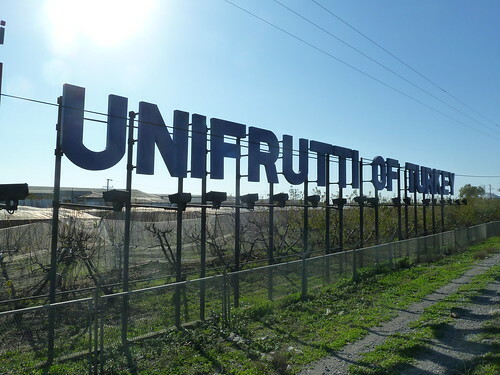 But today I could walk past Unifrutti and think, "Oh wow, they train those kind of like they train peach trees in Reedley!" You can take the boy off the farm, but you can’t entirely take the farm out of the boy. Melih joined me for the walk again today. 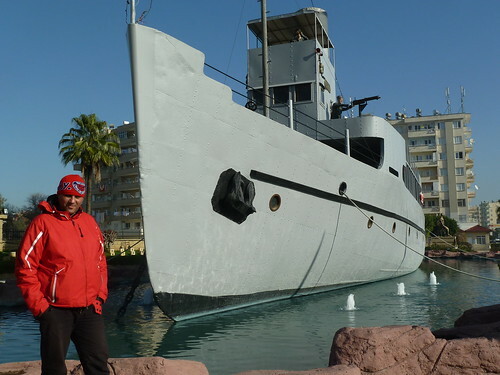 Excellent followup to the walk last week Melih, nice job! 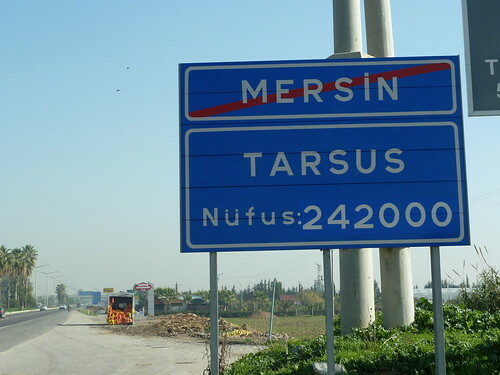 Today’s walk was from Mersin to Tarsus. 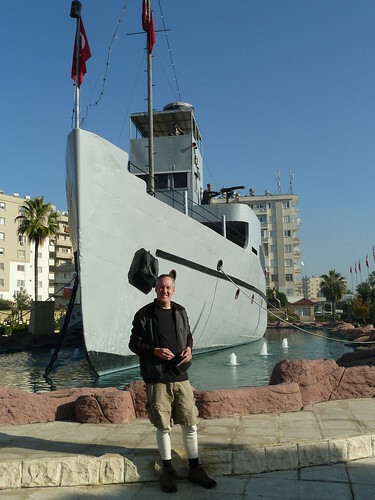 In the background is a replica of the Nusret minelayer, a ship which mined the Dardanelle Straits in World War I, helping the Turks stop an Allied invasion. 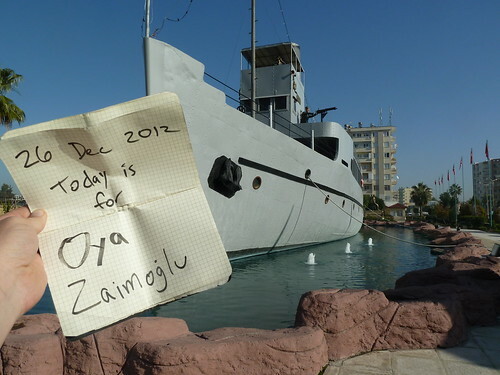 Oya was one of my guardian angels the other week at Tarsus American College. In the photo below, she is second from the right, in the pink boots. 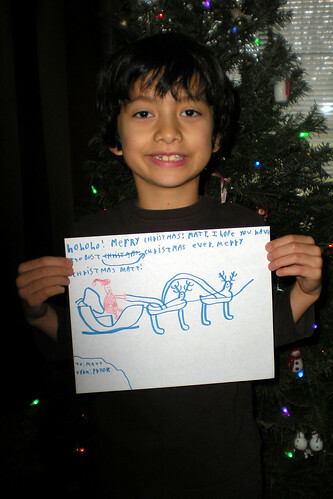 Merry Christmas to you too, Pryor! I wish we could play light sabers in the garage, but I’ll have to settle for something else. Maybe they’ll make me a Christmas Whopper at this Burger King. 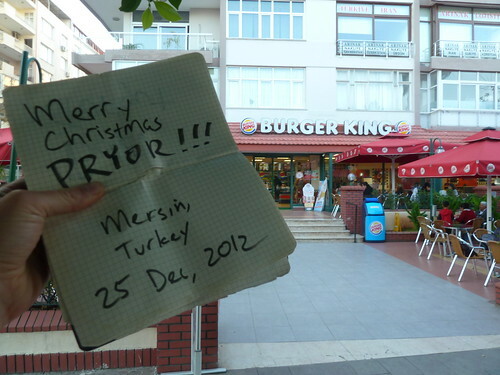 Above is a photo of a Burger King in Mersin. Below is a photo of Pryor. Ayse hanim sings solo, Metin bey plays sax, and Oleg bey, the choir director, works the piano. Nevit Kodalli was a Turkish opera and ballet composer born in Mersin. 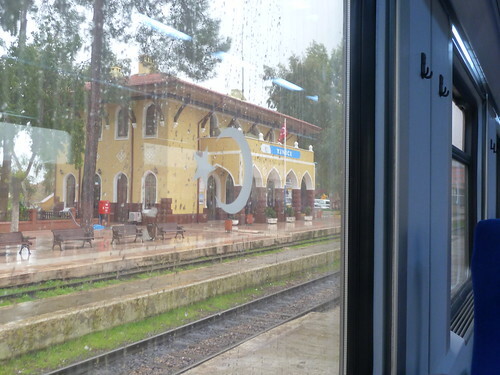 Heading west between Adana and Mersin, 23 Dec 2012. "Dreaming" being the operative word here. 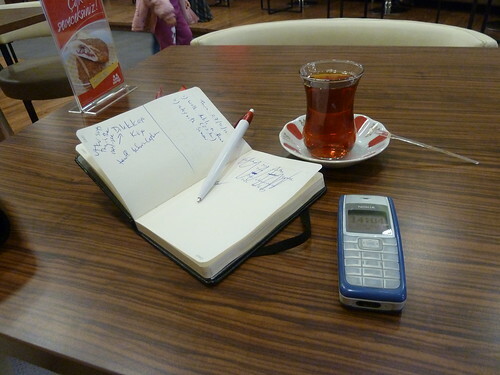 Phone for the time, tea for the body, and a blank half page for, well, whatever is going to fill it. One of the features on today’s walk, midway between Yakapinar and Ceyhan, was Yilankale, Snake Castle. 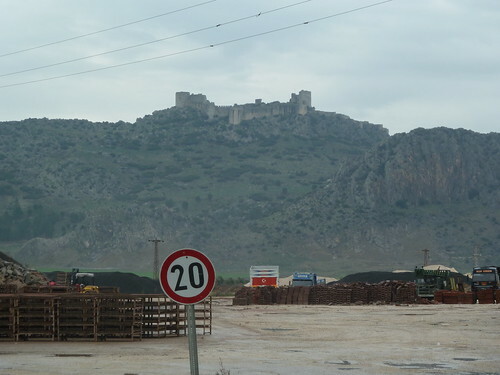 The castle was built in the 11th or 12th century by the Armenians, and was probably used by the Crusaders too. You can’t see it in this photo, but there’s a hill right next to this one. Much of that second hill has been carved away to supply a cement factory, but it still blocks the castle’s sightline across part of the plain. So as I was approaching I was wondering what the castle’s occupants did about the blind spot. Woke up this morning at 6:30am, my normal wake-up time for a work day. But then I told myself the same thing I tell myself every morning that she sings to me, that this kind of comfort will not last, and when it is gone, I will need to be, too. Must get out of bed. Must get to work. Today’s walk was 20 kilometers, from Yakapinar (aka Misis) to Ceyhan, a city of about 100,000 people between Adana and Osmaniye. I could see the mountains east of Osmaniye today. It’ll be another week or so before I climb into those mountains and leave behind the Cukurova Plain. 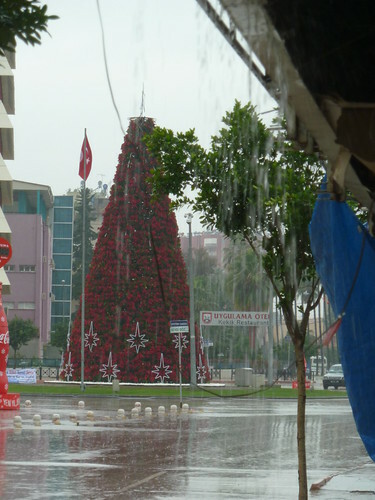 I have a string of holidays (Christmas, New Year’s), my birthday, and a couple social calls to make in Mersin. So it’s not a straight shot to those mountains. But they are there, looming behind the clouds, and I have seen them. I love mountains. I miss mountains, and I am looking forward to climbing into these. Bade was one of my guardian angels last week at the Tarsus American College. Thanks for guiding me from classroom to classroom Bade, and for the brownies too!